← Just not enought time ! Lattice usually conjures up the vision of the flimsy prefab panels bought at the big box lumber yard. You see them underpinning many homes usually trying to hide something unsightly or create quick privacy. I have mumbled the word in many design presentations hoping the client wouldn’t catch it or I come up with some vague description such as ” A wooden vertical design component thingamagig. ” When they do finally realize what I have said their reaction is much like when the toddler repeats a unacceptable word that they heard Uncle Butch say. 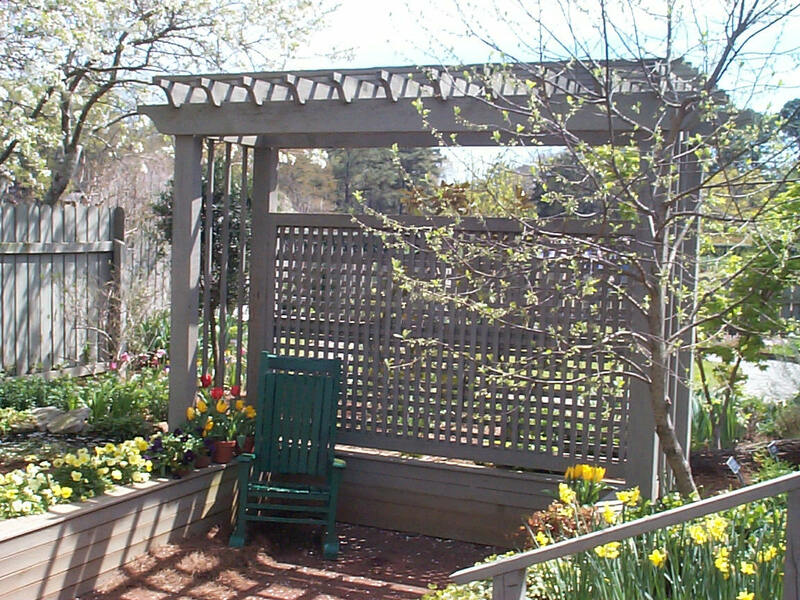 Much of the lattice readily available can make a landscape look cheap, breaks easily and disintegrates in a short time. Lattice done well can be a design element that is both functional and aesthetically pleasing. A single panel can diffuse an unwanted view, create privacy or create a strong support for a cascading vine to climb onto. There are many design situations where a lattice panel or screen is the best way to create a vertical design element in a constricted space or create a sense of enclosurement . Usually I specify a vertical/horizontal grid lattice that is a completely different structure than the diagonal panels which most people envision. So next time you hear or see the word LATTICE on your landscape plan, remember it’s really not a dirty word. This entry was posted in Design, Hardscape. Bookmark the permalink.